• Golden roasted, ground and freeze dried for a richer smoother taste. 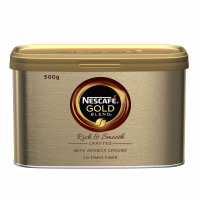 Nescafe Gold Blend is made from a mix of Arabica and Robusta beans combined to create a smooth coffee that tastes bold and luxurious. 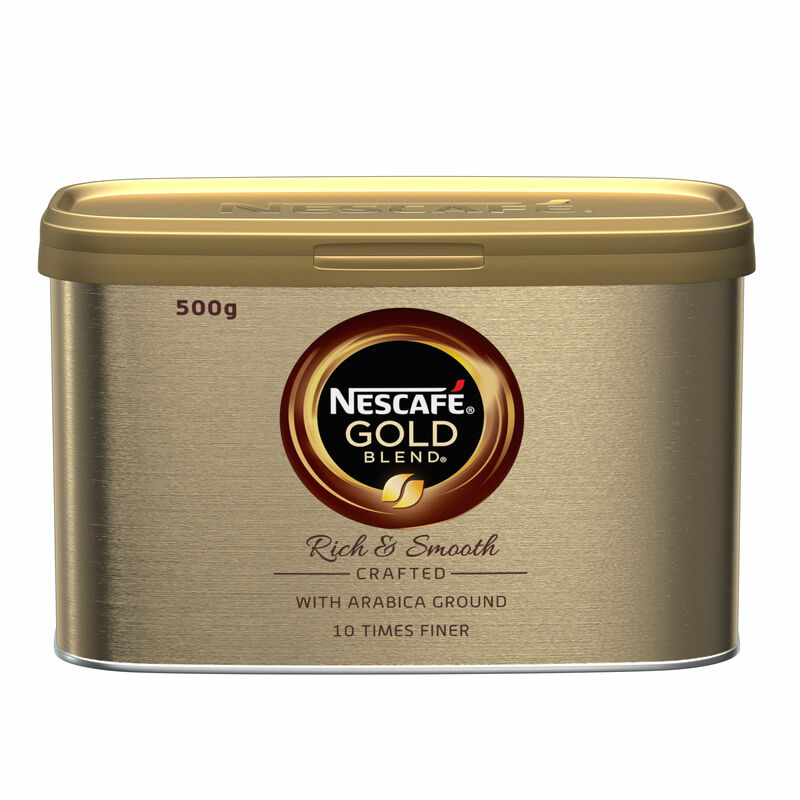 Carefully selected, medium-roasted and freeze-dried to lock in flavour, this simple to make instant coffee has a full and delicious taste. This premium 500g catering tin has click-to-close technology to lock in freshness of flavour. It will make approximately 277 cups of coffee, fuelling your workforce or family at home.